Bible History and Geography…and more. 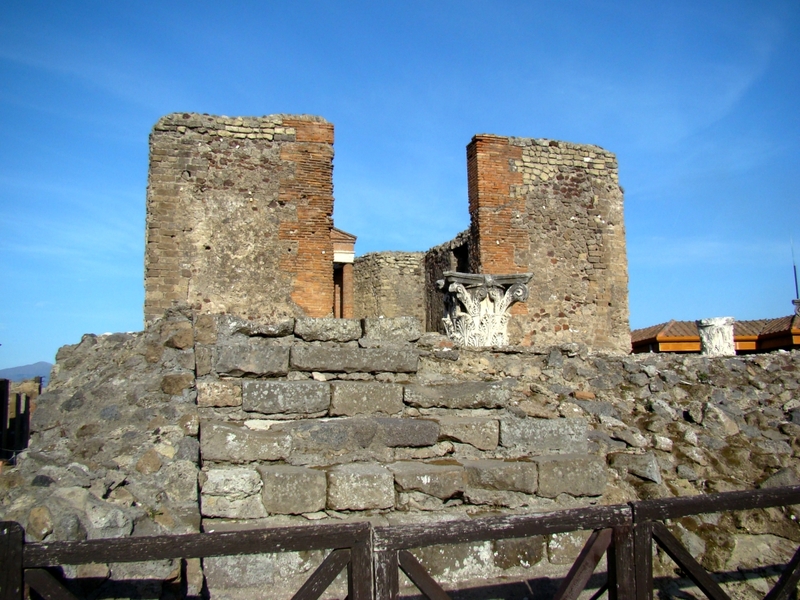 The Roman city of Pompeii, as was generally the case in the world of the 1st century, was a city of many gods. 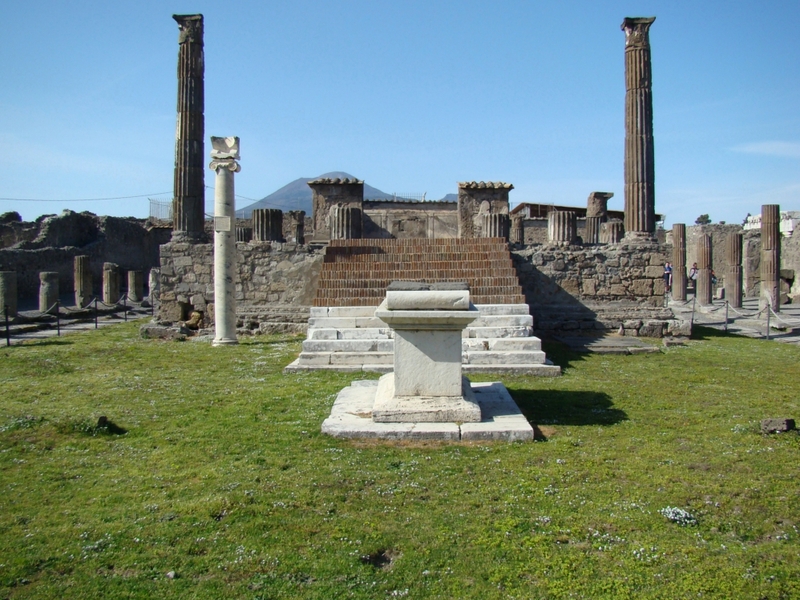 Pompeii–as you might expect, given its many gods–had many temples, though by no means one for every god or goddess who might intervene in the lives of its inhabitants. They came in all sizes, in varying degrees of prominence and with very different histories. Some stretched back to the earliest years of the city. The temple of Apollo next to the Forum was established by the sixth century BCE at the latest. (The Fires of Vesuvius.281-282). Temple of Apollo, Pompeii, Italy. Photo by Leon Mauldin. Mt. Vesuvius may been seen the the background. Temple of Fortuna Augusta, Pompeii. Photo by Leon Mauldin. Pompeii is a city “frozen” in time by the eruption of Mt. Vesuvius, AD 79. Though this is not a “biblical city” it preserves scenes from a Roman city in the AD 1st century, and thus has tremendous value to us. Thus it helps us to see the setting for the biblical world in the early New Testament era. we know that “an idol is nothing in the world,” and that “there is no God but one.” For even if there are so-called gods, whether in heaven or on earth– as there are many “gods” and many “lords”– yet for us there is one God, the Father, from whom are all things, and we for Him; and one Lord, Jesus Christ, through whom are all things, and we through Him. However, not everyone has this knowledge. (1 Cor. 6:4-7, HCSB). Click images for larger view. Mauldin's Bible Land Tours Opportunities to travel to biblical sites.